The Naginata is unique in Japanese martial arts in that it has been kept alive primarily by women. It is a tradition dating back many centuries to the wife of the Samurai who would stay home to safeguard the family. The deadly slashing and thrusting of the Naginata evokes the battlefields of 12th century Japan, as Sensei Wataru Suzuki says “The Naginata was used to mow down horses and cavalry soldiers so slashing attacks to the shins is a characteristic of Naginata”. 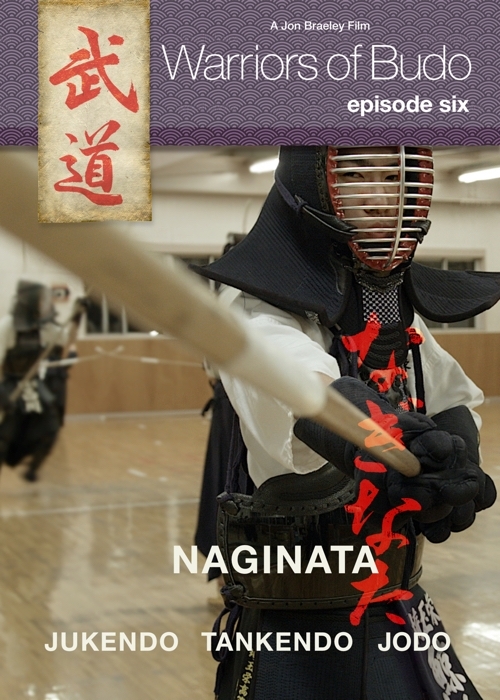 In our opening segment on Naginata we take you through basic exercise and a study on Naginata techniques then a final competition style match with teacher and student. These are the Warriors of Naginata. Jukendo and Tankendo, the art of bayonet fighting, are sister arts and practitioners often practice both. 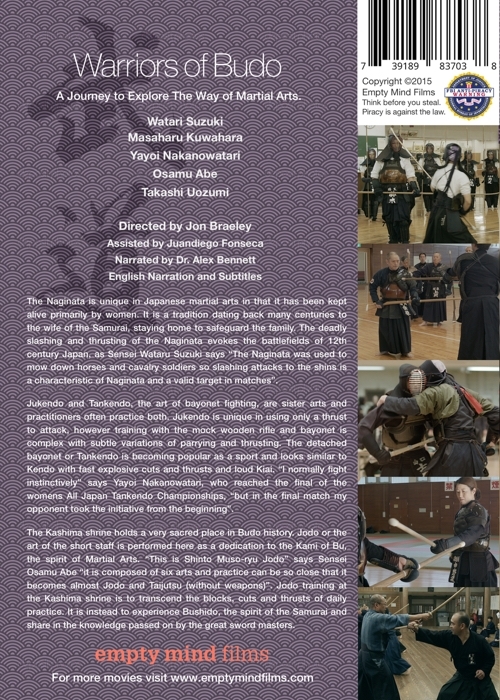 Jukendo is unique in using only a thrust to attack, however training with the mock wooden rifle and bayonet is complex with subtle variations of parrying and thrusting. The instructor is Hanshi 9th dan Sensei Kuwahara Masaharu who has an astonishing 75 years of experience in Jukendo. Sadly just after this episode was filmed he passed away at 89 years of age. 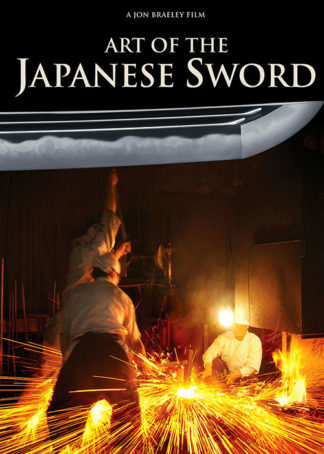 The detached bayonet or Tankendo is becoming popular as a sport and looks similar to Kendo with fast explosive cuts and thrusts and loud Kiai. “I normally fight instinctively” says Yayoi Nakanowatari, who reached the final of the womens All Japan Tankendo Championships, “but in the final match my opponent took the initiative from the beginning”. The Kashima shrine holds a very sacred place in Budo history. Jodo or the art of the short staff is performed here as a dedication to the Kami of Bu, the spirit of Martial Arts. “This is Shinto Muso-ryu Jodo” says Sensei Osamu Abe “it is composed of six arts and practice can be so close that it becomes almost Jodo and Taijutsu (without weapons)”. 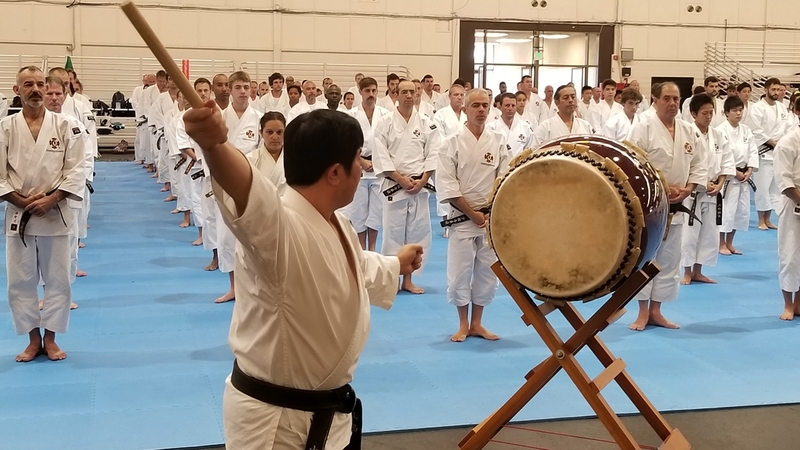 In this final segment of Episode Six we take you to the adjacent dojo of the shrine to experience a Jodo class being taught. 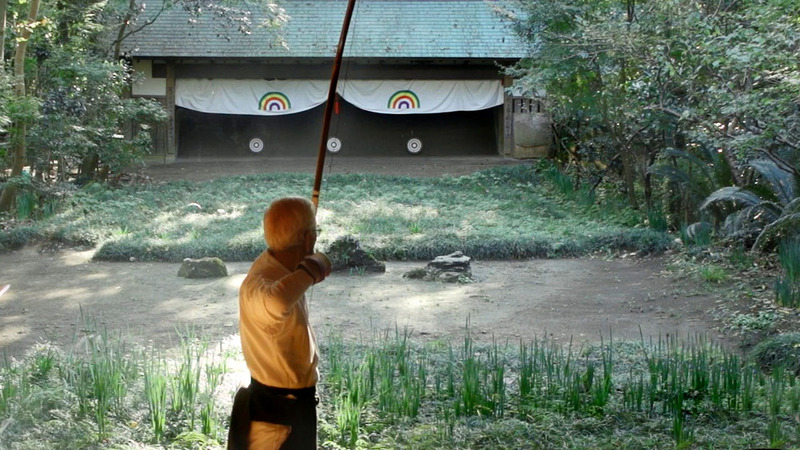 Jodo training at the Kashima shrine is to transcend the blocks, cuts and thrusts of daily practice. It is instead to experience Bushido, the spirit of the Samurai and share in the knowledge passed on by the great sword masters. 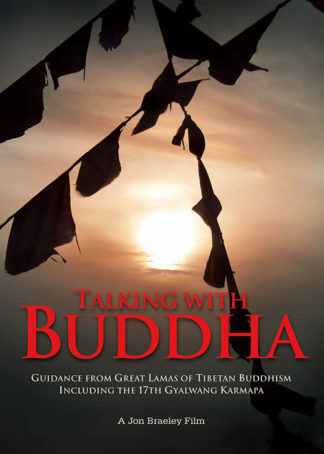 I have now downloaded the first three episodes in the Warriors of Budo series. All three are excellent. Empty Mind Films is a name associated with high quality and this series is no exception. I give them five stars out of five. 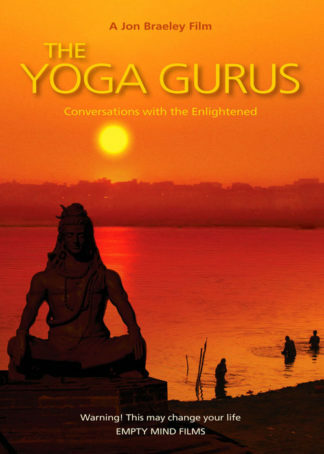 Please submit your review to here, thank you. 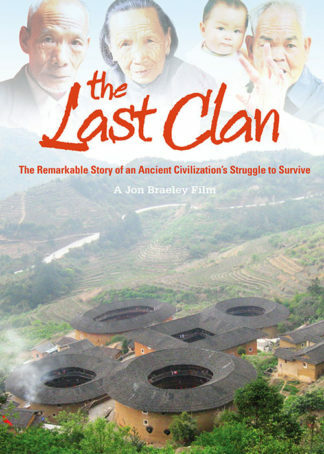 Chen Village… What to Expect? 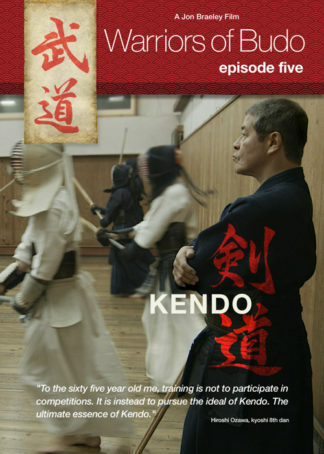 WARRIORS OF BUDO: SEVEN EPISODE SERIES ON JAPANESE MARTIAL ARTS.